Welcome home to Highly Sought after North Shore Subdivision w/ Access to All Sports Crooked Lake! 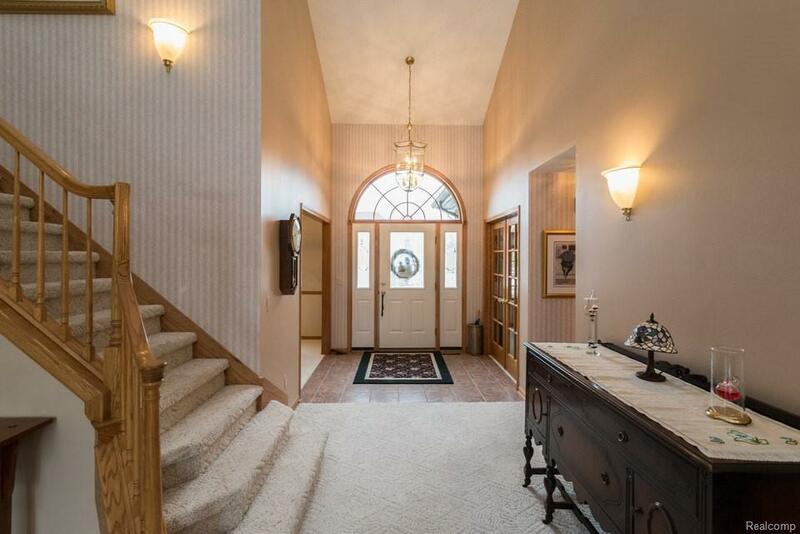 Enter this Meticulously Maintained Colonial through the Grand 2 Story Foyer, outlined by Private office w/ Glass French Doors & Formal Dining Room. 1st Floor Master Suite offers Large Walk in Closet, Dual Vanity & Jetted Tub. Great Room has soaring Ceilings, Wall of Windows & Floor to Ceiling Stone Fireplace that is shared with the Granite Island Kitchen which has Hardwood Floors & Nook that leads to the Huge Deck overlooking the Tree-Lined Back Yard. Upstairs are 3 Large Bedrooms, a Full Bath and Loft area. Finished basement has Wet Bar, Living Area, Full Bath, Workshop & Tons of Storage w/ bilco doors for convenient walk-out access. Neighborhood offers a Private Beach with Gazebo, Playscape, Walking Trails, and Social Activities for All Ages. Close to highway for easy commute. 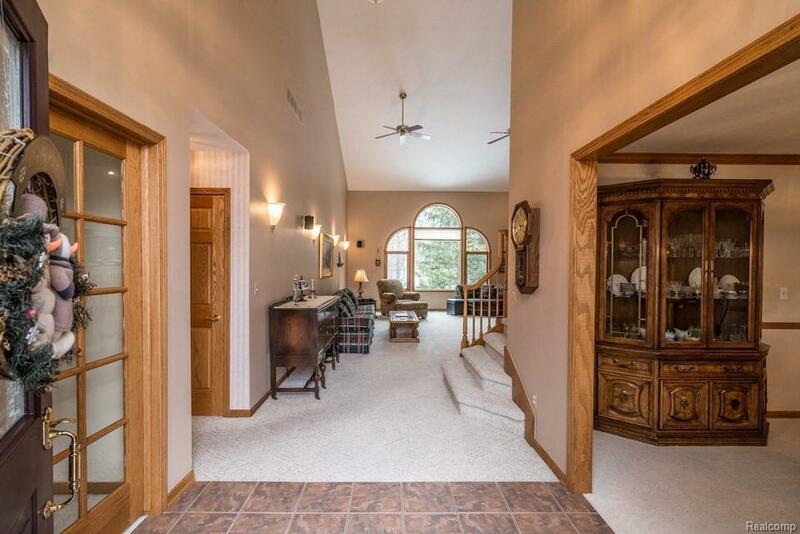 Nearby downtown Brighton & Howell along with Shopping, Dining, Golf & Recreational Areas & Activities. 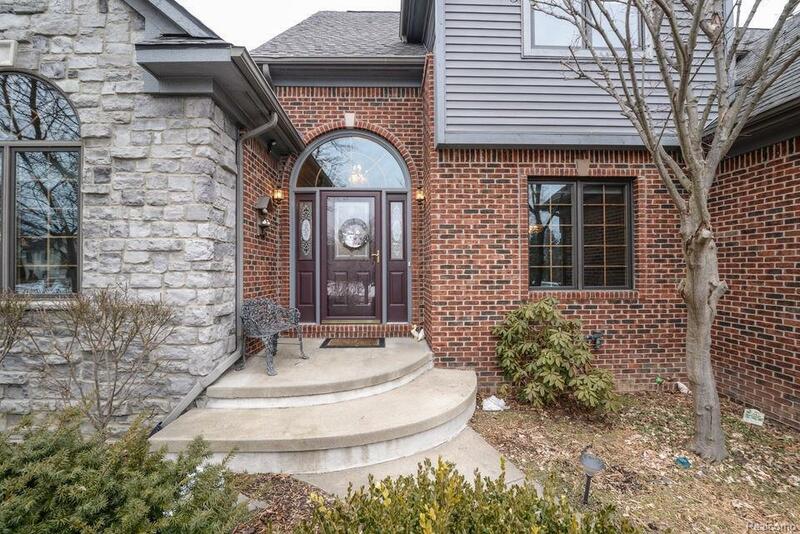 Listing courtesy of Coldwell Banker T & C Real Est. 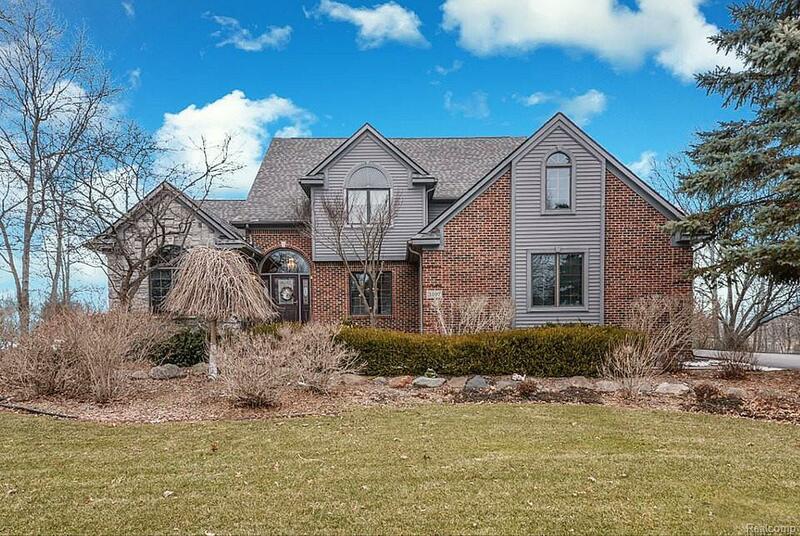 ©2019 MiRealSource (Michigan Multiple Listing Service). All rights reserved. IDX information is provided exclusively for consumers' personal, non-commercial use and may not be used for any purpose other than to identify prospective properties consumers may be interested in purchasing. Information is deemed reliable but is not guaranteed accurate by the MLS or The Tom Lipinski Team at Keller Williams Lakeside Market Center. The information provided hereby constitutes proprietary information of MiRealSource, Inc. and its shareholders, affiliates and licensees and may not be reproduced or transmitted in any form or by any means, electronic or mechanical, including photocopy, recording, scanning or any information storage and retrieval system, without written permission from MiRealSource, Inc. Data last updated: 2019-04-20T17:47:13.233.